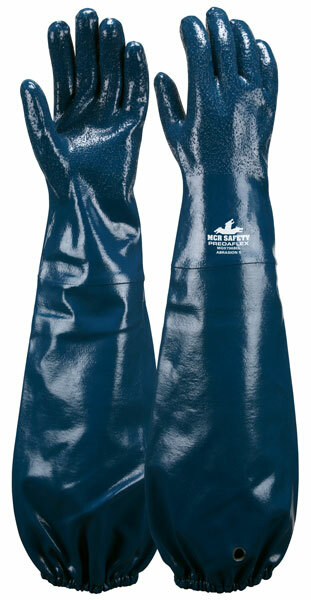 The MCR Safety Predaflex™ glove features a 100% cotton brushed interlock liner and a fully coated nitrile finish for durability and comfort. The palm is sandy finished for extra grip and abrasion resistance. The MG9796BL sports a shoulder length for outstanding extended protection.This glove will stand up to the punishment that your job can dish out.